Federal Power-Shok 12 Gauge Ammo 2 ¾” 1oz Hollow Point Slug ammo for sale online at cheap discount prices with free shipping available on bulk 12 Gauge ammunition only at our online store TargetSportsUSA.com. Target Sports USA carries the entire line of Power-Shok ammunition for sale online with free shipping on bulk ammo including this Federal Power-Shok 12 Gauge Ammo 2 ¾” 1oz Hollow Point Slug. Federal Power-Shok 12 Gauge Ammo 2 ¾” 1oz Hollow Point Slug ammo review offers the following information; For nearly a century Federal Ammunition has put its focus on manufacturing quality products with cutting edge technology. This dedication to excellence has given Federal a competitive edge as an ammunition technology giant. Today the company is well known for producing high grade centerfire, rimfire, and shotshell ammunition that shooters everywhere know and trust. 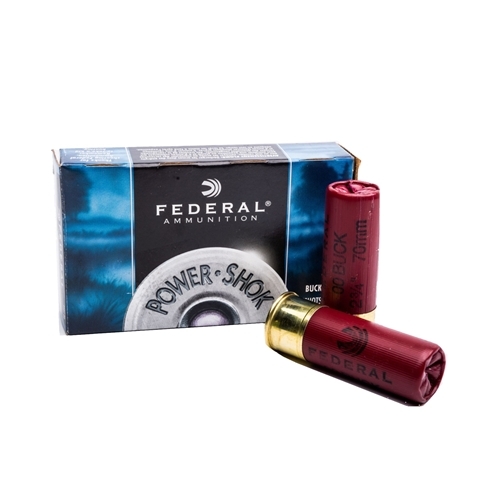 Federal Power-Shok is 12 Gauge hollow point slug ammo. This round weighs 1 oz. and measures 2 ¾” in length. 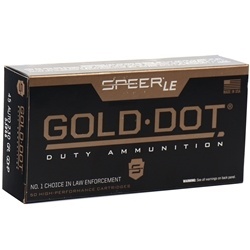 This 12 gauge ammo is designed to increase accuracy and overall performance in the field round after round. Loaded with Federal's Power-Shok rifled slug, this ammunition centers the slug in the middle of the barrel providing better down range accuracy. Combined with Federal's reputation for quality and awesome stopping power, this round will give you the results you've been looking for. Power-Shok 12 Gauge slugs have a muzzle velocity of 1610 feet per second and a muzzle energy of 2518 ft lbs. This Federal Power-Shok 12 Gauge slug line offers you a full complement of rifled slugs for just about every shotgun gauge. If you shoot with a 410, 20, 16, 12 or 10 gauge, you'll find a slug for your smoothbore here. Remember, "rifled" slug means the slug is rifled, not your barrel. This soft lead slug delivers good expansion and is accurate out to 100 yards. Loaded with Federal's Power-Shok rifled slug, this ammunition centers the slug in the middle of the barrel providing better down range accuracy. Power-Shok 12 Gauge slugs have a muzzle velocity of 1610 feet per second and a muzzle energy of 2518 ft lbs. This soft lead slug delivers good expansion and is accurate out to 100 yards. Shot some at 25 yards. Group was not bad but not good. Had a couple others I tested at the same time that performed a little better.